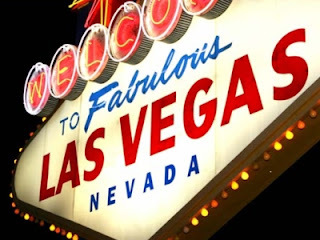 James Atkin's Poker Blog Las Vegas WSOP Vegas baby! I haven't got much time to write a full blog post as I'm leaving in a couple of hours, but I am going to Vegas to get a taste of the World Series of Poker. I haven't been since 2007, so I am rather excited! I am actually only going out there for 5 days. I know this might seem kind of silly, but I think it would be unfair on my son and fiancé to go out for much longer at this point. I'll be gone for nearly 7 days with all the travelling, and having not left my 1 year old son (nearly two) for more than a couple of days up until now, I don't think I would be able to last too long out there, especially if I run bad. Maybe in the future I'll be able to take him and his mummy out with me. Having gone on my own last time I went out there, which was inevitably a mistake, I am looking forward to sharing a room with another PokerStars SNG grinder, Longy11. It will be nice to have some company while I'm out there, and I know plenty of Brits out there who hopefully I'll get to meet up go drinking with at some point. Perhaps they aren't the best tournaments starting chips wise, and they are said to be something of a lottery, but at least I'll have a shot at making some big bucks and winning a bracelet. I'll probably end up playing a Venetian tournament or two as well. I'm not going to take my laptop with me so I doubt I'll update the blog whilst I'm out there, but I will have my iPhone so I'm sure I'll make the occasional tweet when I have wi-fi access. You can follow me @epitomised. 7 Comments to "Vegas baby!" I think that says many good things about your character to not want to leave your son and fiance for too long! I really appreciate that. Good luck out there fella, hope the cards fall right for you. GL in Vegas! And see you at the tables after WSOP. P.S. I really like the way you play.